Glitter is one of the most versatile materials to craft with. You can use glitter on fabric, glass, plastic, paper, or wood. You can wear glitter in your hair, on your nails, in your makeup, or on your clothing and accessories. 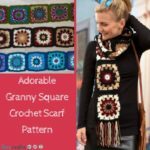 You can knit or crochet with glitter yarn, you can use glitter with rubber stamping in scrapbooking and cardmaking, and you can add a little extra glitz to everything in your home with glitter. Everyone likes a little sparkle now and then, from children to teens to grandparents. Use this guide to get you started with glitter! Low-Grade Chunky Glitter: This is the kind of glitter you used in school to make hand-print Thanksgiving decorations and other art projects. 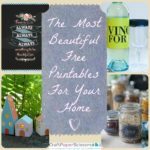 You may still have some stuck to your kitchen table from that craft you glittered 20 years ago. Spray-On Glitter: Use this type of glitter on fabric or in projects such as wreath-making that need a uniform coating of sparkle. Spray-on glitter comes in an aerosol can, like spray paint. Glitter Glue: Squeeze this gel onto paper projects, clothing you’re embellishing, or other crafts that need a three dimensional glitter finish. Fine Powder Glitter: Use this glitter to emboss with rubber stamping projects or in your scrapbooks. Read this comprehensive list for more information. 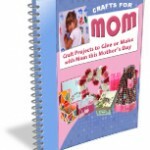 Papercrafting with Glitter: The most obvious of uses for glitter is in scrapbooking, cardmaking, and other papercrafts. Here are some of my favorites. Decorate your Home with Glitter: If you’re attracted to bright, sparkly, shiny things, why not make your home shine and sparkle? Make these home accents using glitter techniques to add glamour to your life. Read how to incorporate glitter into your crafts. Use a noodger to fix mistakes. Work with loose glitter over a piece of newspaper to catch and reuse the extra bits that fall. If you don’t have glitter glue, draw a design or write a message with regular glue and then sprinkle with loose glitter for the same effect. Learn the basics of heat embossing. 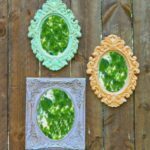 Make your own stained glass with glitter. What are your favorite glitter projects? Do you have any more tips and tricks for crafters who want to begin working with glitter? I love wearing necklaces and bracelets, but sometimes I get bored wearing them so many times. I have some plain chains that I would love to decorate and what perfect timing. 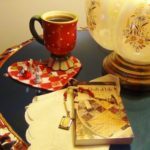 We had a guest contributor, Angie Beauchamp, from the Charm Factory. What a better craft then to have an angel charm on your necklace or bracelet? I absolutely love this craft. 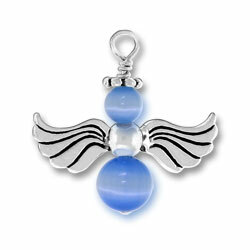 My favorite color is blue and this charm is a light blue, it just makes it look so pretty and dreamy. 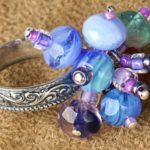 Of course you can use any color bead you want. Who wouldn’t want to wear this charm around their neck? I know I would love to! What color beads would you use for this charm? Did you find the cutest outfit for your baby boy only to find that two other boys are wearing the exact same thing? That’s when you think to yourself, bummer, this was such a cute outfit and now I have to return it. Well guess what, now you don’t have to. Style your child with his own personality. Add a little puppy embellishment to his outfit. Now his outfit will shine and it won’t be like any other boy around. And you thought you had to return it! Another cute idea to add to your child’s clothing is a fishing embellishment. These young years are the times to teach your kids and take them out for good times. 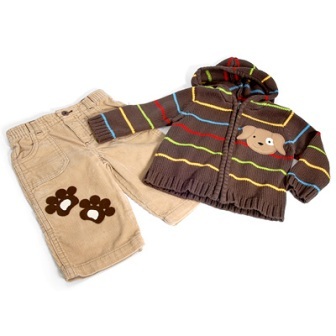 Whether he’s dressed to play with puppies or dressed to go fishing, he’ll be one stylish kid! My sister just had a baby the other day. 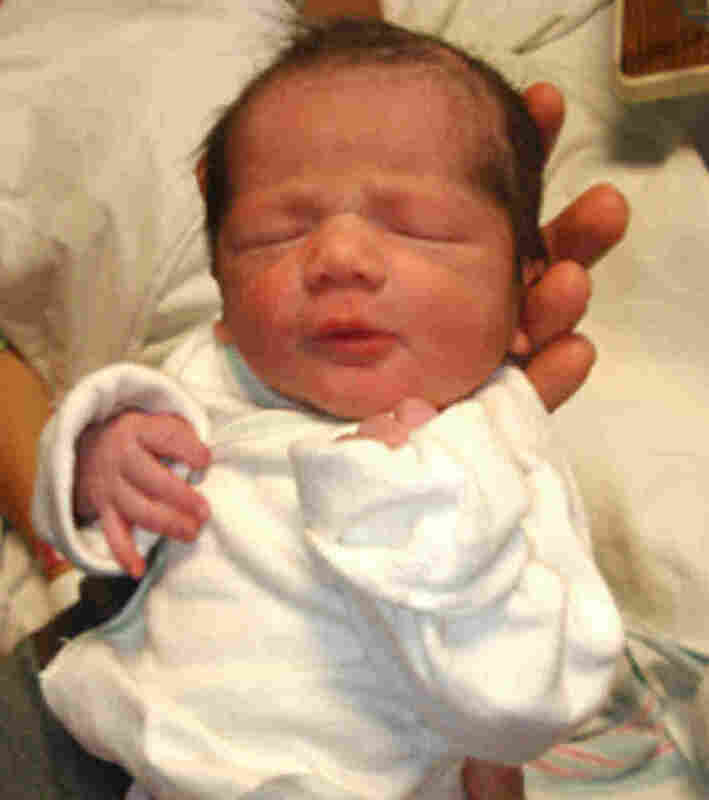 She is a little peanut; she weighs six pounds even at 18 1/2 inches. Her name is Avery Alexis, which I think is such a pretty name. She has a full head of black hair, which is normal for babies, but her sisters never had that much hair. Isn’t she so cute? I know, I’m biased! Anyway, I have to get a little gift for the new one. She has so many toys and clothes already from her older sisters…and we had a little baby shower as well. I thought maybe I can make a little onesie. How hard can they really be? The baby bear onesie is really cute. I can just picture her in it with those little ears and all that hair. I can’t wait to see her again. I’ll probably go visit tonight, after all, I’m lucky enough that they live right down the street. I’m always looking for cute little baby outfits or something for kids to wear. 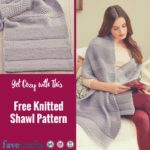 If any of you have some different patterns or unique outfits let me know!